Through my travel posters I try to to shine a light on the local landmarks and places we hold dear to us; and with that in mind it doesn’t get much better than this for me. Tempsford airfield is a stone’s throw from my house. It has a rich, dark and fascinating history that has been well documented in numerous books and films. 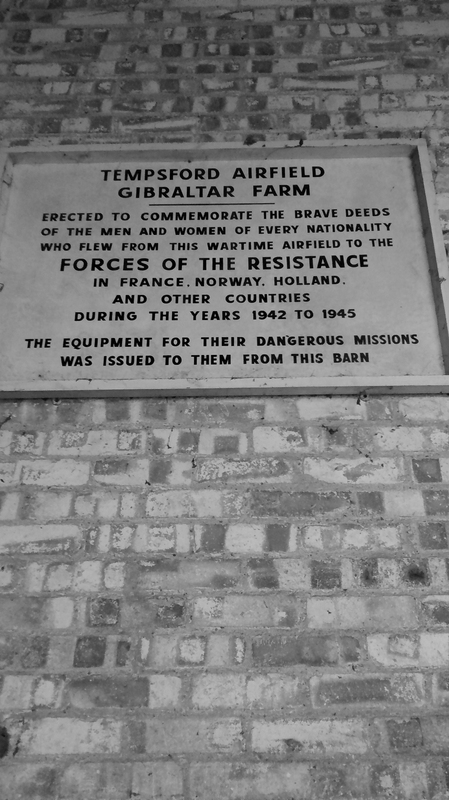 In short, Gibraltar Farm in Bedfordshire was taken over by the government during WW2 and converted into a top secret airfield which was home to Special Duties Squadrons no. 138 and 161. 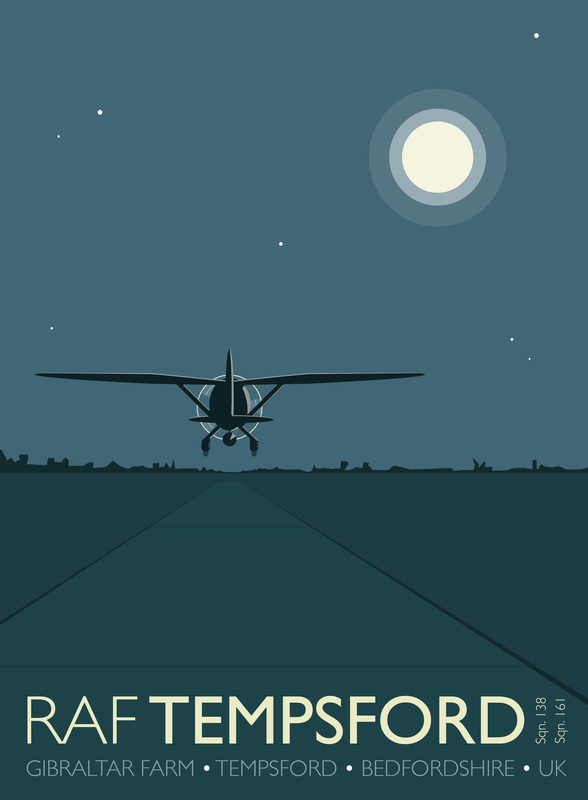 Under the cover of darkness (usually by a full moon) they flew secret missions to occupied Europe. The stories are awe inspiring and heartbreaking in equal measures. If you are not familiar with it then I urge you to do a bit of research. It is truly fascinating. 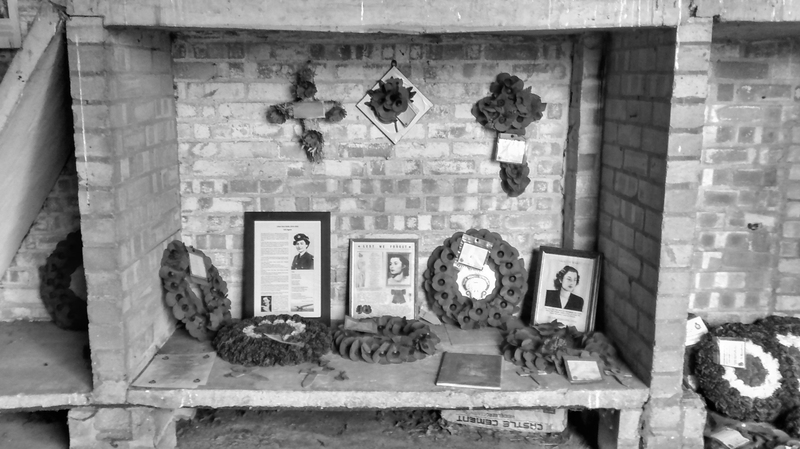 I took my family to Tempsford airfield recently on a cold and blustery day. The wind whipped across the old landing strips as we headed to the barn that was used during the war. The barn stored the supplies and equipment that were used by Special Operations Executive agents on their missions. It was quite unlike anything I have seen before. I struggle to find the words to describe how I felt being in there. To say it is understated is well, an understatement. There are no signs, no queues, no hordes of people wandering aimlessly with visitor attraction headsets. I really felt as if I had stumbled upon something special. 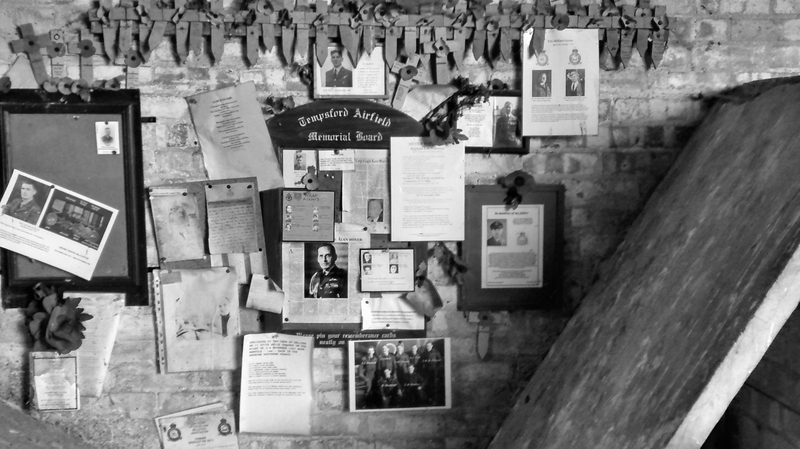 Standing in a freezing cold dusty barn, with crumbling roof tiles and pigeon poo, looking at memorial plaques and reading the most beautiful tear jerking poetry – I felt I owed so much. Lots of people now know the story of Bletchley Park, another local landmark that was home to such heroism and endeavour during the war. I’m always so inspired and grateful for the top secret activities that are commemorated there. Now that I’ve found out about Tempsford airfield, I feel the same way about that. As I left I knew I wanted to do something to highlight and celebrate the courage and stoicism shown by the people who worked and flew from there. Before I even got back to my car I had a plan for this print in my head. It was then a race to get it down on paper before all the other day-to-day stuff surfaced to the top of the list. I’m super pleased with this print and I loved every minute spent on it – it was an honour. 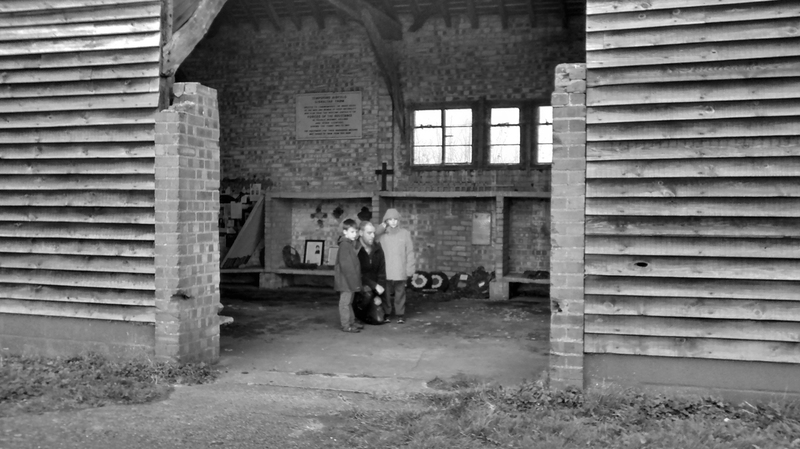 There are many people who work hard to make sure this part of our history is not forgotten and the local people are rightly proud of Tempsford’s heritage. I will be giving 20% of each sale to the Tempsford Museum as a way to help preserve this story for future generations. It is a story of bravery, hope, ingenuity and love and it should never be lost. Print available to buy on Etsy. Next post: Where are your happy places?